Equine Studies Major: Equine Industry and Management Option B.S. What is equine studies with an industry and management option? The equine studies industry and management option is designed for students who want to pursue a career in the equine industry, either in traditional hands-on jobs like teaching, training and stable management, or in the field of equine business, such as competition management, sales and marketing Students receive a solid foundation in business and management practices while also working with horses in experiential courses to develop professional equine skills. Classes include equine science, equine sports medicine, horse trials management, principles of riding instruction, applied equine management and equine training techniques. Why study equine industry and management at UNH? The UNH equine program combines award-winning equestrian teams with strong academics and outstanding opportunities for hands-on learning, including on-site USEF/USEA-recognized horse trials and a center accredited by the Professional Association of Therapeutic Horsemanship International (PATH), giving students real-world experience in the equine industry. Students in the equine program have daily opportunities to work with horses on campus. Our facilities — all of which are located within a 10-minute walk from campus — include the 40-stall Tirrell Horse Barn, the W.C. Skoglund indoor riding arena, a lighted outdoor riding arena, a full cross-country course, three regulation-size dressage competition arenas and the Lou & Lutza Smith Equine Center. The UNH Equine program is helping to rehabilite two rescued ponies, as part of a coordinated effort that included the New Hampshire State Police, Department of Agriculture, Markets and Food and the State Veterinarian. A group of riders from the UNH equestrian team recently volunteered at the New England Dressage Association (NEDA) Fall Festival of Dressage at HITS Saugerties in New York as part of a team fundraiser. The Industry and Management option combines business classes and hands-on equine classes, such as teaching training, stable management, and competition management for students interested in a traditional equine career or a career in equine business. I want to major in Equine Studies but my parents say I'll never get a job with that major. Is that true? Actually, the majority of equine studies majors at UNH obtain jobs in the equine industry after graduation. The equine industry is a $111 BILLION dollar industry in the United States. There are many, many career opportunities for motivated and skilled individual. Do I really need a degree to work in the equine industry? Whether you want to go on to veterinary school, become a riding instructor, work as a farm hand or manage a stable, an undergraduate degree will give you a significant advantage by providing specialized training, business skills and a body of theoretical and practical knowledge. These are invaluable tools in seeking employment or running a business. How do I know which option in Equine Studies is right for me? Equine Industry & Management combines hands-on equine-specific classes, such as teaching, training and stable management, with business-related classes. This course of study is best suited for students who see themselves going into a traditional, hands-on job in the equine industry, such as stable management o riding instruction, or for students who are interested in the ever-expanding field of equine business management. The latter includes competitions and event management, marketing, and farm business management. Therapeutic Riding is for students interested in the therapeutic riding field. It combines equine classes with courses about non-profit management and disability services, and classes specific to therapeutic riding, including a class where students prepare and test for their PATH Instructor Certification. Equine Science, combines equine-specific classes with more rigorous science courses, which prepare students for graduate school, including vet school, or a career in one of the more technical sides of the equine industry, such as nutrition or research. I want to have a career in Vet Tech do I need to get a degree? It depends on the state in which you intend to work. Some states require a vet tech degree, while others require that you pass a licensing examination. Still others have no specific requirements. It should be noted that a B.S. (or A.A.S.) in Equine Studies is not a vet tech degree. If you are truly interested in becoming a vet tech, UNH’s Thompson School of Applied Science offers a two-year vet tech degree program. If I want to be a Pre-Vet student, what should my major be? 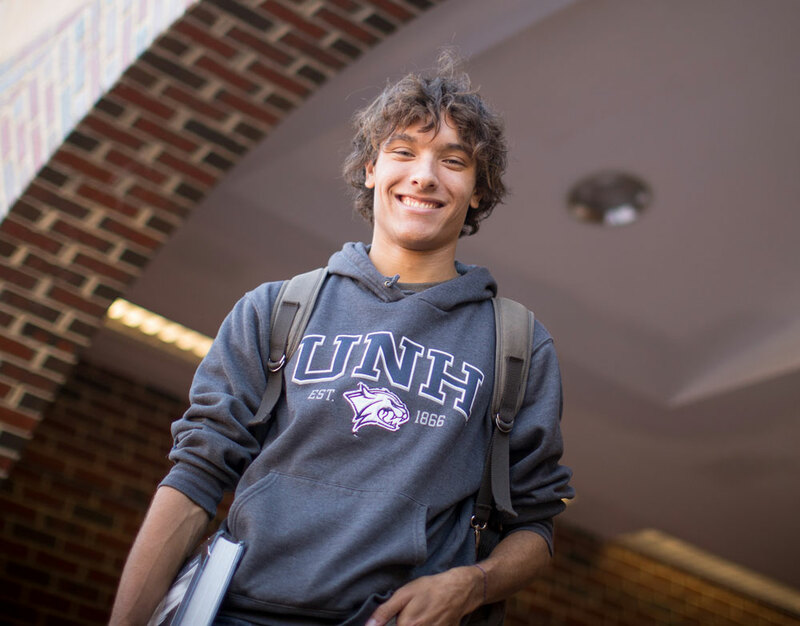 You can major in any field of study at UNH, but will want to complete a program of study that encompasses a number of specific requisite courses. Visit our pre-vet page for more information. The Equine Science program has been specifically designed to allow students to fulfill the required classes for admission to veterinary school while also completing a degree in equine studies. Where can I receive pre-veterinary medicine advising? Upon informing the Equine Program or the Department of Biological Sciences of your interests in pursuing veterinary school, you will be assigned to an advisor with an interest in advising pre-veterinary medicine students and knowledge of current veterinary school admission requirements and procedures. Do I need to send a video of my riding? No, a riding video is not required for admissions or to try out for the riding teams. Are there scholarships for riders? No. However, there are several academic scholarships available to equine studies students through COLSA, the Department of Biological Sciences, and outside organizations such as the AQHA and IHSA. Are there any online classes in the equine program? ANSC419: Horse Power is offered online during Summer session. This class, which satisfies the Humanities requirement of the discovery program, explore's the horse's role in history, art and culture. For information on summer session go to www.unh.edu/summersession/ Other equine related online courses are coming soon so check back for future updates. In addition, UNH does offer a growing variety of online classes, some of which equine students can use to fulfill general requirements. Go to www.unh.edu/eunh/online-courses/ for more info. Do I have to be an Equine Studies major to take classes in the equine program? No, students of all majors may take classes in the equine program. Do I have to be a full-time student to take classes in the equine program? No, classes are open to non-degree candidates. What if I just want to get my Path Instructor Certification and I'm not interested in a 4-year degree? Non-degree students can take ANSC 643 with instructor permission. Contact Cindy.Burke@unh.edu for more information. Does UNH Offer a 2-year degree in Equine Studies? 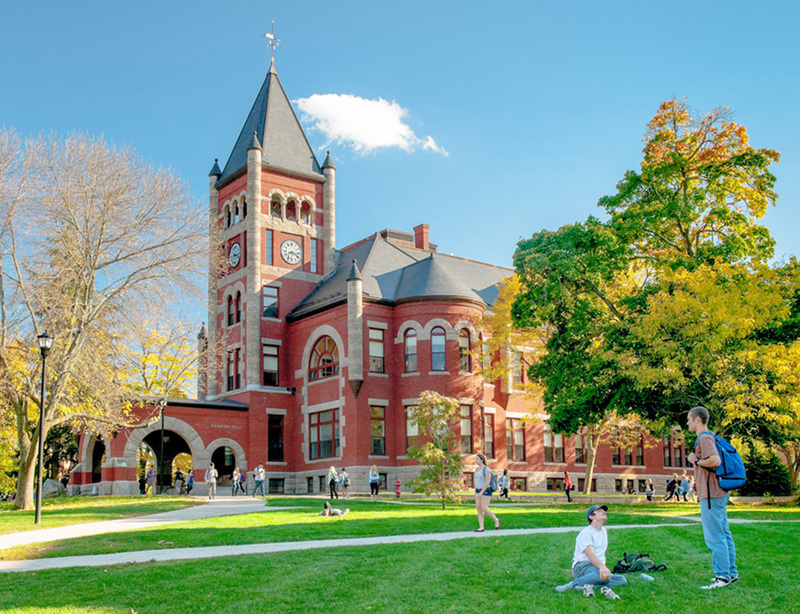 Yes, UNH’s Thompson School of Applied Science offers an A.A.S. in Applied Animal Science: Equine Management. Can I ride at UNH? Yes, we offer a 3-credit riding class, ANSC 402 – Horsemanship, during fall and spring semesters. Is it possible just to ride without taking a class? Or to take private lessons on the school horses? No, the only riding opportunity on UNH horses that the equine program offers is through ANSC 402. How do I sign-up for riding classes? First-year students sign up for ANSC 402 when the sign up for classes at Freshman Orientation. Priority is given to equine studies majors. Freshmen who are not equine studies majors should email Sarah Rigg in July to see if there are openings in the fall semester class. A two-part preregistration and signup is held for continuing students each semester. This is typically held in April for the fall semester, and November for the spring semester. Visit the equine website for dates. How do I try out for the riding team? In order to try out for either of the riding teams (hunt seat or dressage), students must be enrolled in or have taken ANSC 402 for two semesters. Tryouts are held each fall. Each team will hold a mandatory informational meeting for interested students before tryouts take place. Dates for meetings and tryouts are posted in the stables in early September. Can I board my horse at UNH? The UNH Equine Facility has space for a limited number of student boarders. Board is $650 per month. Priority is given to equine majors. Contact stable manager Brenda.Hess-McAskill after being accepted to UNH to be put on the list. Brenda also has a list of other area boarding facilities. If my horse is boarded at UNH, will it be ridden in the riding classes? No, horses boarded at UNH are not used in riding classes. Can I get a job at the Horse Barns? The UNH Horse Barns does hire work-study students. Contact Brenda Hess-McAskill. Can I work at the horse barns in exchange for board or lesssons? No, work study is for pay only. We cannot barter work time for board or lab fees. Why do I have to take Biology? The equine industry is largely based on the horse as an athlete. Understanding the horse’s body and how it works, as well as the horse’s health, is the foundation of managing and caring for that athlete and coaxing the best performance from him. Biology forms the building blocks of Anatomy and Physiology and all the more specialized equine classes. I'm a student in another major. Can I transfer to the Equine program and will it affect my ability to graduate on time? Students in good academic standing can transfer into the equine studies major. It is possible that transferring to any new major will affect a student’s graduation date. This will depend upon how long a student has been in another major, the type of degree they were pursuing and the classes they have already taken. I've heard that if you go abroad or on exchange for one semester you can't graduate on time. Is this true? Going abroad is an outstanding experience, but students do need to plan ahead if this is something that they would like to participate in. Many of the equine-specific classes at UNH are offered only in the fall or spring semester, and there are more of them offered in the fall than in the spring, so many students find that it is easier to go abroad for a spring semester. Spring semester of Junior year is the most popular time for equine students to participate in study abroad. Students need to plan out their schedules so that they can take required courses on campus, and then complete other courses – electives, discovery courses, etc. – while they are abroad. Some students who go abroad or on exchange take fewer credits than a normal UNH course load (16 credits). In order to graduate on time those students must make up for such a credit deficit, unless they had a credit excess to begin with. If credits are a concern, it may be possible to take a 16 credit course load, even if the college has a three credit system. We are always grateful for donations of horse and stable tack and equipment. Stallmats for our stalls- gently used OK. If you have a horse that you would like to donate to our program please submit a video or video link along with the following FORM to Brenda Hess-McAskill. Donations cannot be considered without video. Please contact Brenda Hess-McAskill for more information at 603-862-0343 or Brenda.Hess-McAskill@unh.edu. A 3-credit class offered during Spring and Fall semester and is open to all majors. Therapeutic Riding is a mode of therapy utilizing functional riding skills, equine movement and a variety of therapy activities to achieve specific cognitive, physical and emotional goals. The UNH Therapeutic Riding Program adapts equine activities to allow for participation of riders over the age of 5 with cognitive, physical and emotional challenges.